Planning an event in Bemidji, MN? 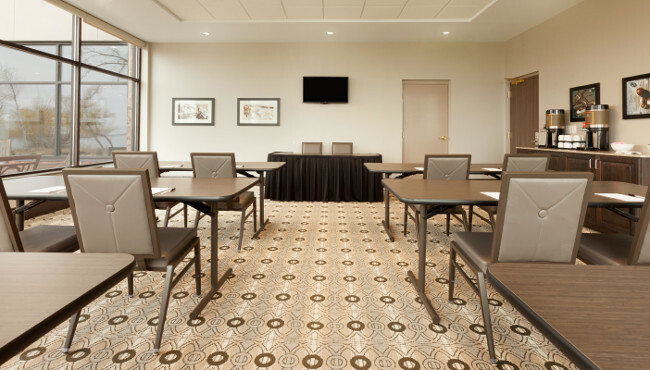 Consider the meeting room at the Country Inn & Suites, which features 625 square feet of space. You can host a conference or seminar for up to 20 colleagues or hold a standing reception for 40 guests. With the Sanford Center and the George W. Neilson Convention Center connected to the hotel, our event space is perfect for hosting accessible breakout sessions. We also feature an on-site restaurant and welcoming guest amenities, including a business center and free Wi-Fi.